Jennifer Sinor is the author of Letters Like the Day: On Reading Georgia O'Keeffe, a collection of essays inspired by the letters of the American modernist Georgia O'Keeffe and Ordinary Trauma, a memoir of her military childhood told through linked flash nonfiction. She teaches creative writing at Utah State University where she is a professor of English. She is also the author of The Extraordinary Work of Ordinary Writing: Annie Ray's Diary, a book about the diary of her great, great, great aunt, a woman who homesteaded the Dakotas in the late nineteenth century. All of her books work to reveal the extraordinary possibilities that arise in the most ordinary moments of our lives. Born into a military family, Sinor has lived all over the United States. While she considers Hawaii her first home, she has come to love northern Utah, where the mountains remind her of the ocean in the way they crest all around her. 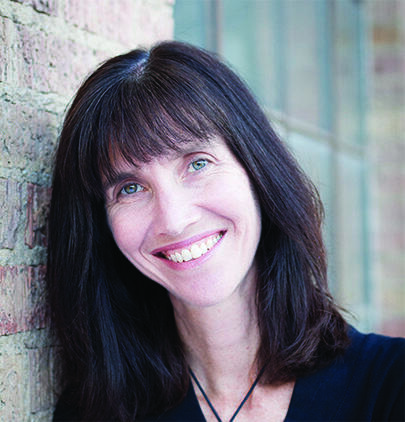 Jennifer Sinor graduated from the University of Nebraska, the University of Hawaii, and the University of Michigan. She is married to the poet Michael Sowder, and they have two boys as well as a passel of animals. Natalie Andrews, a Wall Street Journal social media editor and reporter, will give a talk today at USU as a part of the Morris Media & Society Lecture Series, which is facilitated by Utah State’s Department of Journalism and Communication. Here’s how the department describes the talk: “It's now clear that we live in an era of fake news, troll tweets and email dumps. So what does that mean for media, our democracy and our future? On this episode of Access Utah our guest is Pulitzer Prize-Winning New York Times columnist Nicholas Kristof. The website for the Half the Sky Movement, founded by Mr. Kristof and his wife Cheryl WuDunn, says: “The central moral challenge of our time is reaching a tipping point. In an era when humans spend much of their time indoors staring at the dim glow of a screen, many of us have forgotten the simple pleasure of a stroll through a wooded glen, a hike up a secluded mountain path, or a nap in the grass. Many of us have a dog or go to the beach occasionally. But is that enough? In “The Nature Fix,” prize-winning science journalist Florence Williams asks, "What if?" What if something serious is missing from our lives? What if an occasional trip to the neighborhood park isn't enough? Revisiting A Conversation With Graham Moore And "The Last Days of Night"